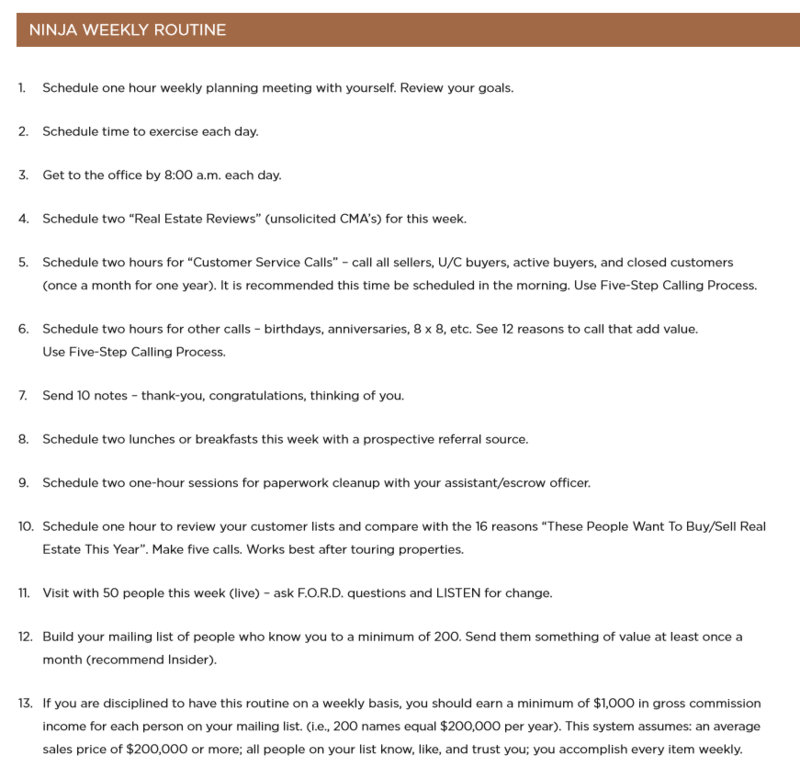 A major goal of the Ninja Selling System is to increase your income per hour so that you can have a life. Time Blocking is a key tool to achieving this because it boosts focus and efficiency. Let’s quickly examine the word block. In some instances, block means to halt or prevent. Picture your precious time under siege from incoming distractions. Visualize yourself building a stockade to defend your time. Another use of block is to: set apart for a particular purpose. Synonyms include: reserve, preserve, or secure. Time Blocking is simply breaking your day into blocks of time and then assigning tasks to those blocks of time. 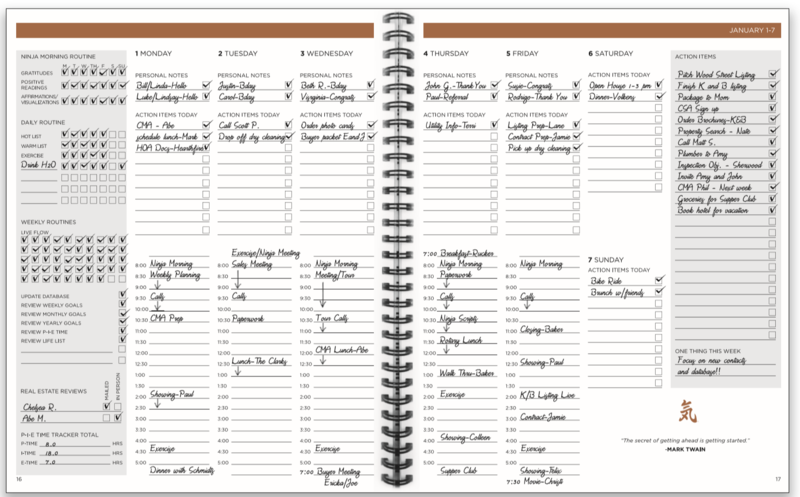 In the Ninja Planner, each weekly view section has calendar space for you to Time Block your week. Need an example? Check out pages 8-9 of the 2019 Ninja Planner. Why don’t most of us Time Block? Permission. We do not give ourselves permission to send that phone call to voicemail or let that text go unanswered for an hour during Time Blocking. If we were in a face to face meeting with a client, we would have no problem not answering these disruptions. So, why can’t we maintain this discipline when we are working through our Time Blocked tasks that do not involve a face to face meeting? The person on the other end of the phone doesn’t know what you are doing so they aren’t assuming you’ll respond immediately. Yet, we still feel obligated because we have not yet given ourselves permission to make Time Blocking paramount. Print** and save this message as proof and read it whenever you need permission. From this day forward, you are granted official permission to send a call to voicemail and not answer text messages during your Time-Blocked tasks. This is your permission to increase your focus and time efficiency. This is your permission to increase your income per hour so you can have a life. ** Why not keep this permission on your phone? Modern technology is designed to distract. Learn how to Stay On Your Agenda.